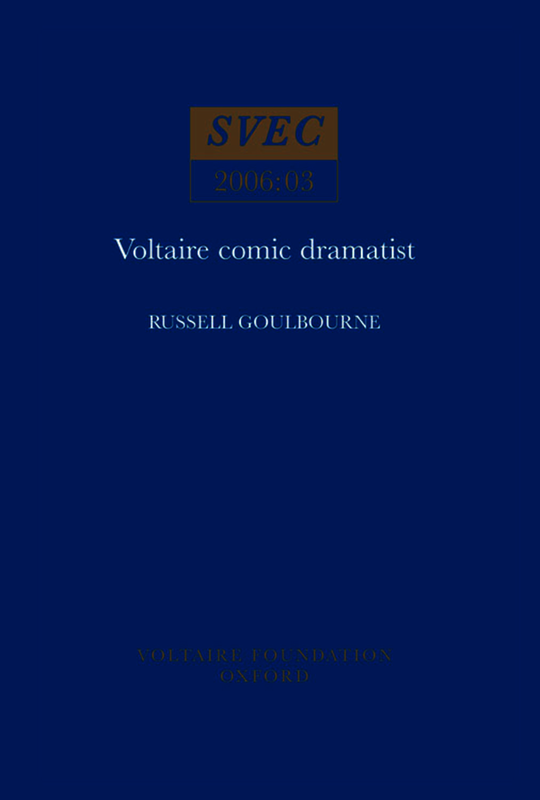 No two comedies of Voltaire are alike: the breadth and diversity of his comic dramaturgy in terms of form, technique, theme, characterisation and tone, are revealed in this first critical analysis and systematic reassessment of Voltaire’s eighteen comedies in their contemporary theatrical, literary and intellectual contexts. This study also exposes the fundamental unity of Voltaire’s comic theatre, which lies in the plays’ status as innovative, experimental works written in creative dialogue with, and fruitful opposition to, the contemporary trend towards serious, sentimental comedy. Voltaire wrote his comedies over more than forty years (1725-1769), when comedy was undergoing significant redefinition as a genre. Typically dismissed as un-dramatic, sentimental, overtly didactic and so of limited interest today, his comedies emerge from this study as a series of vigorous explorations in the many possibilities of the comic genre. Voltaire wrote with the example of Molière and the seventeenth-century comic tradition constantly in mind, but at the same time he diverged from that tradition in pioneering ways, constantly testing the limits of generic convention and audience expectation. In demonstrating the blend of tradition and innovation at the heart of Voltaire’s aesthetics of comic drama, this book contributes to a remapping of the history of eighteenth-century French comedy. It also leads to a new understanding of Voltaire’s comic aesthetics more broadly: his comedies are a substantial, complex and vital part of his literary career, and studying them helps us to revise our view of the author of satirical contes, the dry wit whose distinctive literary mode can appear to be destructive irony. Viewed in the light of his comic theatre, the familiar Voltaire wears a significantly different expression.